Introducing the newest addition to our home accessories, coming from our collection of storage this beautiful set of White Storage Chests is a perfect addition to have sitting in any room in your home. 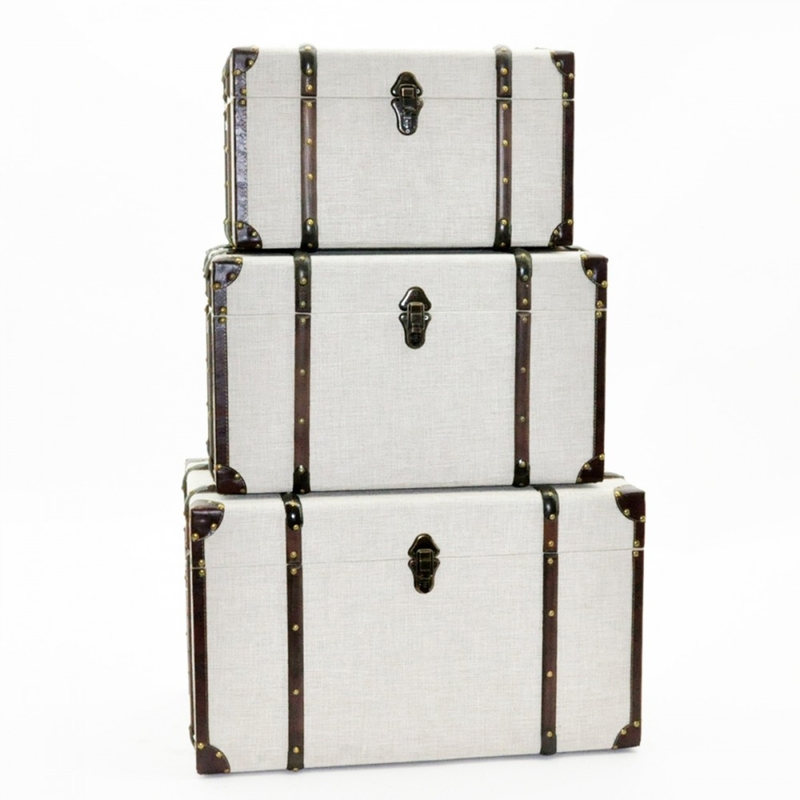 Each chest is complete in a white colour and features brown leather details. The perfect contrast of colours allows you to fit these chests in any existing interior with ease. Made to the highest quality these chests are a must have addition in any home and are ensured to last a lifetime.